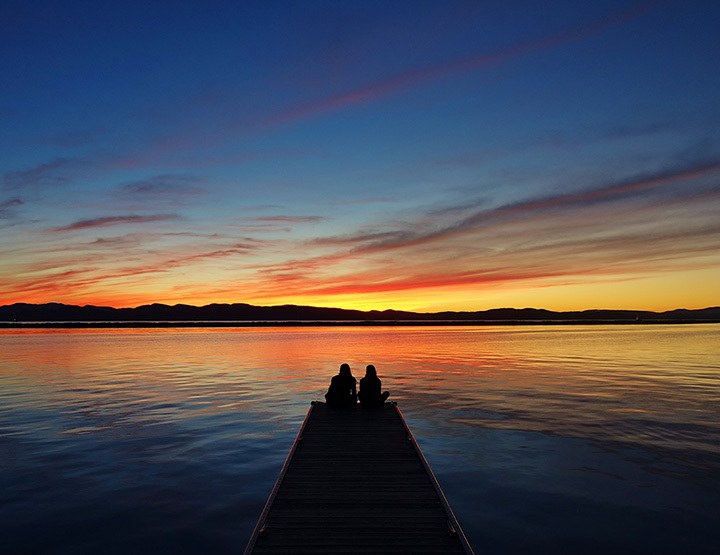 With a thriving metropolitan vibe, lively art scene, a broad array of food choices, and gorgeous waterfront, Burlington is one of the most beautiful cities in the region. Whether you’re a local or a tourist, this city offers plenty to do and see. And here are some of our favorites. Perhaps the crown jewel in the Queen City’s headdress, this community waterfront park sits only steps away from the waters of Lake Champlain. In addition to spectacular open-water views, you will find a boardwalk and access to boat lessons, rentals, and lake cruises. This nationally acclaimed maritime science center offers many hands-on activities in its museum and around Lake Champlain. In fact, there are a reported 70 species of live lake animals in aquarium displays and over 100 interactive exhibits. Plus, you might get the chance to feed or join lake studies on the spot. Plus, you will find summer camps, on-going events, and an on-site 3D movie theater showing educational films. Built in 1930 during the first waves of The Great Depression, this art-deco themed theater offers a 1,411-seat main room and a 150-seat private venue. Boasting international and local programming, the Flynn is home to musical performance, dance, comedy routines, concerts, movies, and the performing arts. MLB in Vermont? What the!? Well, to clarify, the Lake Monsters are actually a Short-Season Class A affiliate of the Oakland Athletics. But catching a glimpse of America’s Favorite Pastime in the Green Mountain State is still pretty special. Plus, you will find shuttles to and from Centennial Field, on-site concessions, and the chance to meet Champ himself. A little down the road from the Burlington city limits, you will find one of the most unique collections of Americana in the country, as well as, perhaps, one of the few outdoor/indoor museums. With over 150,000 works and exhibits housed inside 39 structures, you will find historic houses, paintings, sculptures, and even a 220-foot steamboat called the Ticonderoga. No, the Green Mountain State hasn’t figured out how to conjure the spirit of this Revolutionary War hero by the same name, but the Spirit of Ethan Allen is actually also Lake Champlain’s only cruise ship. Fresh off from a TripAdvisor Certificate of Excellence Award the Ethan Allen is actually now in its third iteration and can accommodate 363 passengers. By now you know Vermont has the most breweries per capita in the nation, but you may not know that no less than 20 of them call the Queen City their home. That is why we have enlisted the help of City Brew Tours, a tour company that will shuttle you around, feed you, and deliver you to some of the city’s best breweries. This 237-acre park surrounds Mount Philo and offers spectacular views of Lake Champlain, the Adirondack Mountains, and the valley below. The park features activities like hiking and biking, and there is a lodge at the top which can accommodate up to 60 people. The park is also rich with wildlife and includes a campground facility at the north end if you enjoy getting a little rustic. Listed as one of the top 20 states to hike in by a popular ranking site, Vermont has long been a destination for outdoor recreation. However, 13.4 miles of an unused railway corridor from South Hero to South Burlington was recently converted into a walking path that offers scenic views of Lake Champlain and the isles of Vermont that is pretty hard to beat. The Church Street Marketplace is an outdoor mall with retail and dining options that are open to pedestrian shopping only and features cobblestone paths. It consists of basically four city blocks in downtown Burlington and is home to Ben & Jerry’s, Banana Republic, Downtown Threads, Eddie Bauer, Five Guys, Gap, L.L. Bean, Lake Champlain Chocolates, Lululemon, the Vermont Flannel Company, and more.